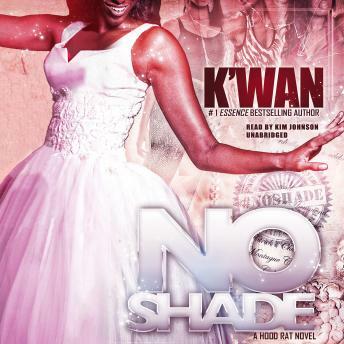 No shade means no offense (as defined by the Urban Dictionary). Example: Don't tell her I told you, but your little cousin is a ho. No shade. Every little girl dreams of a happy ending to her story; a home, children, and a man who loves her enough to share his life and last name. When Billy's longtime boyfriend Marcus finally pops the question, it's one of the happiest moments of her life. Billy calls on her childhood friends Reese and Yoshi to stand with her on her special day. Several years have passed since they'd last come together, and unresolved issues have driven a wedge between the women. Nevertheless, they agree to put their differences aside for the sake of Billy's wedding. But the truce is a short one when Billy has to decide on a maid of honor. Just when things seem to be coming together, they quickly begin to fall apart. At a time when Billy is supposed to be basking in the sunshine of her approaching wedding, she finds herself the target of shade being thrown from the most unlikely places. While Billy is going through her drama, Marcus is dealing with issues of his own. An old crime partner of his blows into town unexpectedly, and his presence threatens to destroy the legitimate life Marcus has worked so hard to build. Even with the universe seemingly working against them, Billy and Marcus are determined to have their dream wedding. But first they have to survive the nightmare of planning it. There goes the neighborhood ... again.